What Causes Muscle Cramps - And Shortcuts For Muscle Cramp Relief! And Shortcuts For Muscle Cramp Relief! What causes muscle cramps? These painful muscle contractions are inconvenient (to say the least) and can be difficult to treat with the swamp of crappy info out there about them. But here's a way to simply and effectively get muscle cramp relief. First, we'll look at why you get muscle cramps and examine some of the science explaining cramps. Or you can just skip to the bottom and find out how to treat them now. I personally really hate muscle cramps. I've been pretty damn active for the last 10-ish years, and have been plagued on and off with horrible muscle cramps and spasms in my back, hands, and calves, horrendous abdominal muscle spasms, and cramping pretty much everywhere else. So I got interested in what causes muscle cramps. There's nothing more infuriating after a hard day of training than being woken up twice a night to with shooting pain in your calves and feet. Other people sleeping with you don't care for it either. Over the years I've learned what causes muscle cramps, and better ways to deal with them. So, here they are! There are several different muscle cramp causes, unfortunately. Fortunately though, many of them are simple to correct - so you can easily remedy most of them, and get rid of your pain. There's not a lot you can do about these muscle overload cramps besides going easier on yourself. And really, where's the fun in that? Still, easing in to a new workout or sport is probably prudent. Electrolyte imbalance also happens when you exercise a lot, and is a major contributing factor for what causes muscle cramps. Electrolyte imbalance occurs when you sweat out a ton of salt, and either sweat out or use up your other vitamins and minerals (magnesium, potassium, and B vitamins). Drink or eat more salt, and make sure you have enough other vitamins and minerals. Regular old table salt is a surprisingly good tool for getting rid of cramps. Also, having enough water for your body to function is vitally important - and dehydration is a further contributing factor in what causes muscle cramps. So drinking salt water (in relatively small amounts) is actually a great idea. Finally, trigger points are related to a lot of muscle cramps. Trigger points are little patches of muscle that, for a variety of reasons, just don't relax like they should. If you've ever asked someone to massage that nasty spot on your neck or shoulders, you know exactly what I mean. I know from experience that when my calves are cramping up at night, trigger points are at least partially to blame. If I do my best to massage them out before I go to sleep, then I get fewer cramps. If you have a problem muscle group, do some deep tissue massage on it. Hunt down those painful 'muscle knots' and crush them. It's painful, but it will make your muscles feel much more relaxed and limber - and you'll get fewer cramps. The single best scientific resource I was able to find on what causes muscle cramps was an article by ‪Michael F. Bergeron‬ titled, "‪Muscle Cramps during Exercise - Is It Fatigue or‬ ‪Electrolyte Deficit?‬". If you're really interested in the science behind the causes of muscle spasms, check it out - thought he doesn't mention trigger points. If you're interested in trigger points, and how they're related to muscle pain and cramping, take a look at The Trigger Point Therapy Workbookby Clair Davies, or (if you want more academic material and are ambitious) check out Muscle Pain: Understanding Its Nature, Diagnosis, And Treatment by David Simons and/or Myofascial Pain and Dysfunction, Vol. 1 & 2 by Janet Travell and David Simons. This protects you from dehydration, and all the bad thing that does to your body. Low sodium levels actually have a lot to do with muscle cramps. So, be sure to eat your salt! Incidentally, Gatorade is a great drink for all of these. The fructose in the drink rapidly replaces muscle sugar (glycogen) for fuel, and the salt helps you avoid cramps. It also has a little potassium, which won't hurt and might actually help. I was just examining a bottle while writing this article, and it's a pretty well designed sports drink. Clinically trigger points have been shown to be one of the perpetuating factors in muscle spasms. And I know from experience that if I don't massage out my little contracted bits of muscle, they will flare up and spasm later. If you have the time and energy (and friends), massage your tight muscles when you get the chance. It helps a ton! Magnesium is necessary for your muscle cells to function well, and low levels of magnesium have been linked to muscle twitches and weakness. 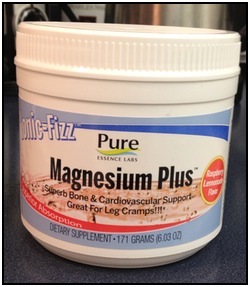 Also, milk of magnesia (a liquid solution of magnesium hydroxide, Mg(OH)2) is recommended by Atkins doctors to people starting on low carbohydrate diets (along with salt, usually in bouillon cubes), since low carb diets apparently can cause you to lose a lot of magnesium and trigger muscle cramps. Still, salt is way more important for healthy muscle functioning. Try eating more salt before you opt for an expensive magnesium supplement. Natural sources of magnesium include fish, whole grains (not white, refined grains), and most leafy greens. Famously found in bananas, potassium is necessary to keep fluid balance in and out of cells working well. And as far as what causes muscle cramps, potassium also helps your muscles to contract. For those reasons, potassium deficiency might also cause muscle cramps. If you need more of it, bananas, citrus fruits, tomatoes, yogurt, milk, beans, and most winter squash are all excellent sources of potassium. However, the amount of potassium you lose when exercising is incredibly minimal - your loss of sodium (salt) will always outpace your loss of potassium. So, once again, try eating/drinking more salt before you go to potassium supplements! B vitamins, especially B1, B6, B12, are vital for helping your body keep its cellular processes going. So a deficiency of B vitamins is a perpetuating factor for trigger points, along with one of the possible causes of muscle cramps. The lesson here is to get a multivitamin that has B vitamins! This is more of an issue if you're a vegetarian, since vegetarian diets are devoid of B12, which (in addition to muscle dysfunction) can cause nervous system damage. I personally drink lots of water, eat salty food, do my best to massage out my trigger points, and get adequate rest to recover after my workout. This program serves me very well 95-99% of the time. I also have a magnesium supplement with B vitamins that I take occasionally (there's a photo of it above), and I eat lots of fluffy greens, bananas, meat, and winter squash with their high levels of potassium, magnesium, and B vitamins. This takes care of the other 5-1% of the time when my muscles start cramping up. • Click here to leave 'What Causes Muscle Cramps - And Shortcuts For Muscle Cramp Relief ' & go back to the Home-page! 1. Bergeron, M.F. (2008). "Muscle Cramps During Exercise – Is It Fatigue or Electrolyte Deficit?" Current Sports Medicine Reports: Supplement – Sodium Balance and Exercise 7(4) S50-S55. Pp. S51. 3. Chaitow, Leon, Judith DeLany, and Leon Chaitow. 2008. Clinical Application of Neuromuscular Techniques. Volume 1, The Upper Body. Philadelphia, Pa: Churchill Livingstone Elsevier. Pp. 38. 4. Davies, Clair. 2004. The Trigger Point Therapy Workbook: Your Self-Treatment Guide For Pain Relief. Oakland, CA: New Harbinger Publications. Pp. 31. 5. "‪Dr Eric Westman about the new Atkins Diet, part 2/2". < https://www.youtube.com/watch?v=y-6K0qWUaAg >. Web. Viewed January 3, 2011. 6. International Magnesium Symposium, Yoshiki Nishizawa, H. Morii, and Jean Durlach. 2007. New Perspectives In Magnesium Research: Nutrition and Health. London: Springer. Pp. 84. 7. Bonci, Leslie. 2009. Sport Nutrition For Coaches. Champaign, IL: Human Kinetics. Pp. 121.